If you've read my blog for awhile, you probably know I'm a big fan of the Final Fantasy and Persona series. I've bought, pre-ordered, played old and new games from both series, and most importantly I’ve put hundreds of hours of play time into them. So of course, I'm definitely excited about Persona 5 and Final Fantasy XV. Since I can safely say they’re two of my all time favourite JRPG series, I was quite concerned about September being the time where both Final Fantasy XV and Persona 5 were to be released. But with the recent pre-E3 announcement of Persona 5’s English release being in 2017, I can safely say that Final Fantasy XV will be getting the bulk of my gaming time in September this year. But this leaves me with a new JRPG dilemma. As an overly keen Persona fan that wanted to play Persona 5 as soon as possible, I'd already placed a pre-order on the Japanese version in case something like this happened and to make sure I got the cool, special edition (that you can get for the English version anyway). I really hoped that I could play the English version first as I'd naturally understand it better with English being my native tongue. While I’ve been studying Japanese for about two years, I’ve had enough up and down periods with my studies to definitely only think of myself as somewhere in the beginner territory. I could maybe understand enough of Persona 5 from the visuals, but I wouldn’t understand it as deeply as I’d like to. 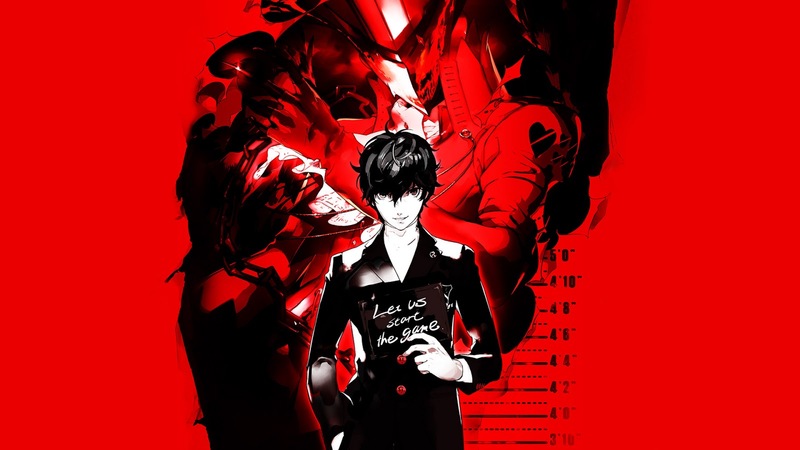 But I love Persona and I want to play this epic game right now and being patient is difficult for me, so I created this list of the pros and cons of playing Persona 5 both for fun and for my own sanity to decide whether or not I should wait for Persona 5's English release or play it in Japanese in September. Pro: Not waiting 5 months! Having Persona 5 early! Not waiting! My motive for playing Persona 5 before it’s English release is fairly simple - waiting for the next game in one of my all-time favourite JRPG series is really hard. Playing Persona 5 in September means the least amount of waiting time for something I've been waiting a few years for. 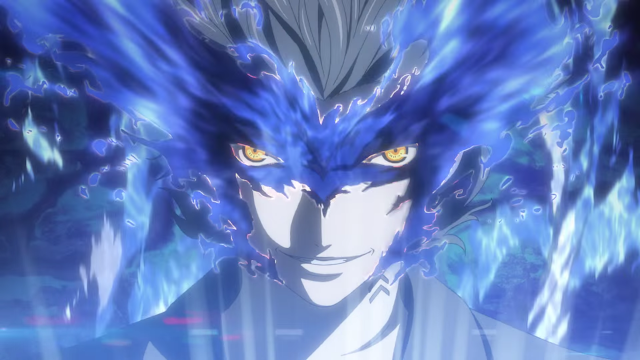 The simple idea of having Persona 5 in September is much more appealing than having it in February of next year. But playing Persona 5 early in a language that I'm not fluent in may come with a price - completely spoiling the surprising, wow moments of my English playthrough. It's not so much the big spoilers I'm worried about, rather the subtleties and foreshadowing sprinkled throughout the story that really build-up with exciting moments in Persona. Waiting might be tough, but the wow and surprise factor in Persona is the reason Persona 4 Golden impressed me so much. I worry that without that, Persona 5 will feel like a good game instead of a great game. Pro: Playing Persona 5 twice! Con: That’s a lot of hours. A perfect way to balance out my worry of not understanding Persona 5 fully could be playing it twice, which I definitely did with Persona 4 Golden but only with the English version. The Persona series has a pretty good track record of releasing high quality games with plenty of replayability and seeing the recent gameplay footage from E3, Persona 5 looks like no exception. I platinumed Persona 4 Golden because it was so good and I'm hoping Persona 5 will be good enough I'll be happy to do the same for it. Although I love playing through games multiple times, it's something I don't get a lot of time for these days because I like to keep up with new games and also get through my unforgivably big backlog. Because of this, I have to ask myself is it worth playing it twice when I could be spending that time on a new JRPG experience. I like to think Persona 5 would be, but it’s a lot of time to commit to this early on. If I play the Japanese version, in order to fully understand the game there's a chance I'd have to play it again. The best way I can think of playing Persona 5 twice is doing what I did with Final Fantasy X HD - I played the English version, then when I decided I wanted to platinum it so I bought the Japanese version. However, if I did that, I would definitely be waiting until next year and that's hard. Pro: It could be good Japanese practice! I like to turn gaming into so-called ‘productive Japanese study time’ as much as possible, so making Persona 5 my new Japanese study material is an idea that definitely crossed my mind. I could play the game, learn new words and actually understand the story because I'd practically be translating it myself. 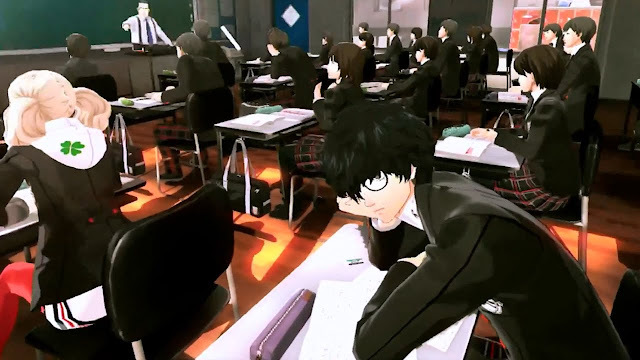 It’d be really hard work, but I’d learn a lot and get to play Persona 5 early without the loss of story depth. This idea is great in theory, but there’s a reason translators and localisers get paid: it’s long and hard work. With my level of Japanese, I'd probably have my dictionary out every other line and I’m not well-versed in fantasy words in Japanese, let alone every words and phrases, making this a pretty ambitious amount of work to add on top of playing and enjoying the game. 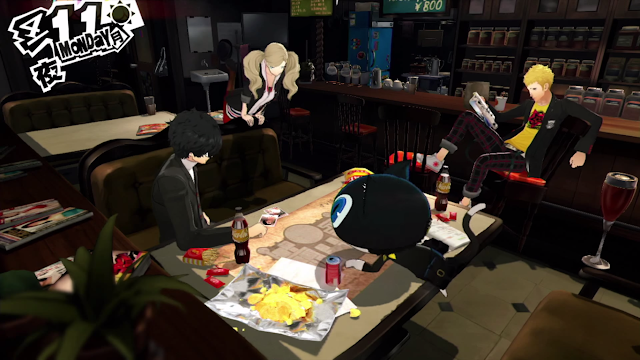 The other option for playing Persona 5 in Japanese would be the immersion method of just playing as usual and not looking up any words, but this would risk missing or misunderstanding story details. 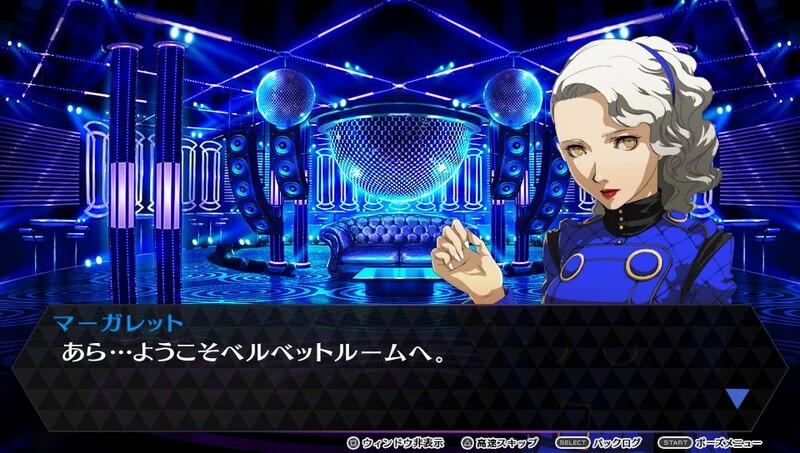 As a big fan of Persona’s stories, this is something I’d prefer not to mess with. I didn't want to wait a measly one month for Persona 4 Dancing All Night last year, so I bought Persona 4 Dancing All Night in Japanese just after I got settled into my new place and job. I enjoyed it a lot, especially since the core of the game was focused around the rhythm game part which didn't require me understanding a second language. The story however is something I still haven't fully conquered. When I tried Story Mode, I had to use my Japanese to English dictionary so much in the first chapter that I eventually started skipping through until I got the bonus rewards for finishing the story, all while spoiling a bunch of stuff about the story. I've been tempted multiple times to buy the English version of Persona 4 Dancing All Night because I want to understand the story completely and it feels like a part of the experience I didn’t get as much as I would’ve liked to out of. I know the gist of the story from pictures and cutscenes, but those little details I love and moments of amusing character banter are a total mystery to me. I wouldn't say I regret playing it early because I had a lot of fun with the rhythm aspects, but it makes me wonder if a more story-heavy experience like Persona 5 would feel fun or extra confusing. I'm honestly still pretty torn, but the solution I’m leaning towards is playing the first in-game month of Persona 5 in Japanese and leaving it there. That way I only spoil a fraction of the story, lose that feeling that I'm missing out when it’s released in Japan in September and can have what will feel like a sneak peek of the game, along with getting the special edition of the game. For most people, I'm not sure if the import costs would be worth this depending on your level of love for the series and general patience. But for me, getting the special edition will be a way to tired me over to the English release and I'm so incredibly excited for the game after seeing all the E3 footage, I'm excited to play even a little bit of it. 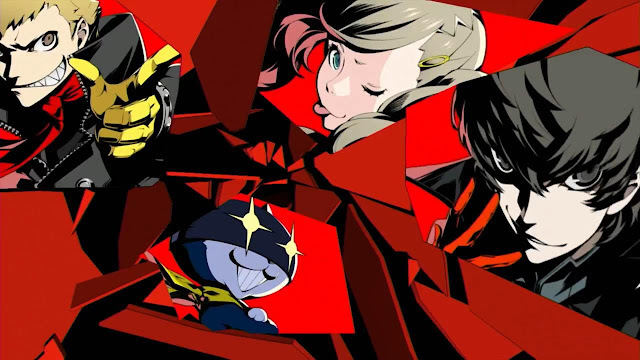 Whether or not you play Persona 5 in September or Valentine's Day next year, at the end of the day, the amount of work it would take to fully understand Persona 5 myself using dictionaries and a lot of brainpower is only a fraction of the work I'm sure Atlus’ localisation team goes through when you add editing, getting approval and whatever other processes that they may need to go through into the mix. I really respect what they're doing and respect the time they're taking to make Persona 5 as good as possible for fans who don’t know Japanese and want to play the game in their own native language. With the amount of time they’re taking and with plenty of great games as proof, I’m sure Persona 5’s localisation will be worth the wait and I can't wait to see it's like as well. You can pre-order Persona 5 in English or Japanese from Play-Asia.com! Will you be getting Persona 5 in September or Valentines Day next year? Have you ever imported a game you didn't want to wait to be localised?